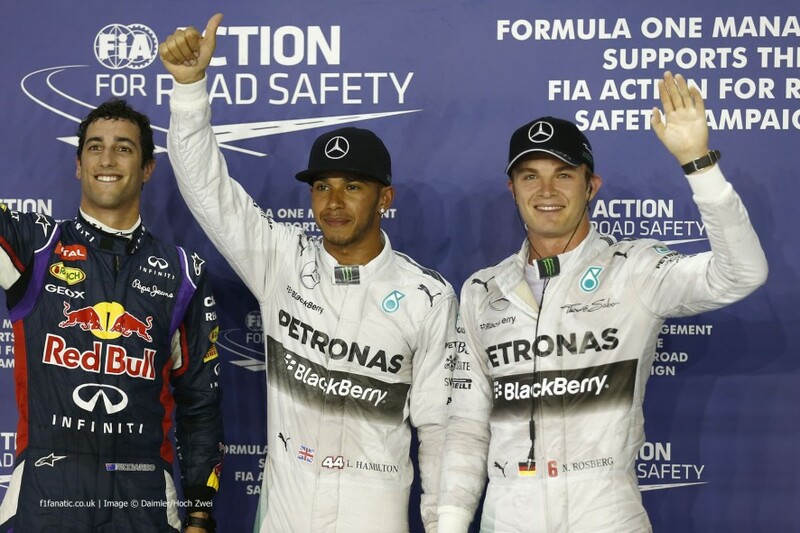 Formula One: Hamilton on top in scintillating Singapore qualifying! 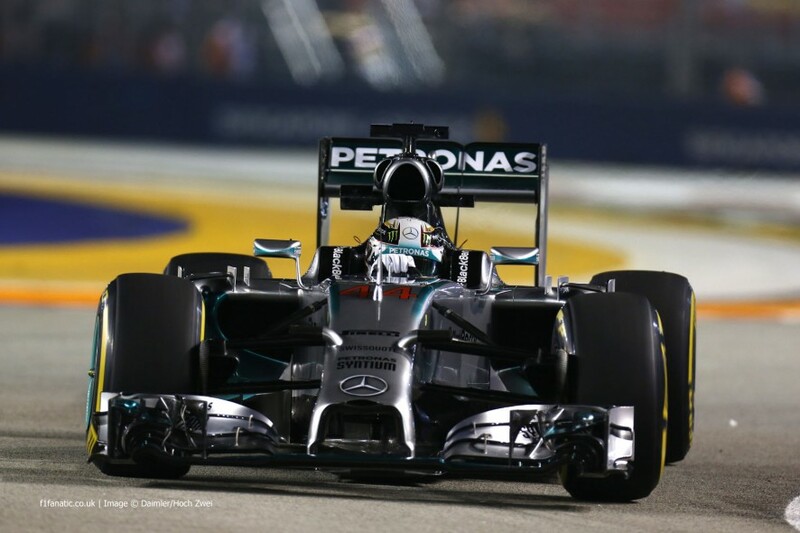 Home » Formula One: Hamilton on top in scintillating Singapore qualifying! Lewis Hamilton has taken a crucial pole position in qualifying for the 2014 Singapore Grand Prix! At an event where the pole sitter has won 4 out of 6 times, Hamilton edged team-mate Rosberg by just 7 thousandths of a second to take P1 on the grid. The rest of the field seemed to have made a marked step up on the streets of Singapore. The top 9 cars were all within a second of each other, with Daniel Ricciardo taking 3rd place; much to the delight of the crowd. The 2 second gap in performance in the two tyre compounds ensured that every car would have to make a run on the super soft tyre to seal themselves a place in the second qualifying session. This gap was highlighted near the beginning of the session. Hamilton had been fastest, with Rosberg making a brief trip into the run-off zone, when Esteban Gutierrez went just a tenth slower on the faster compound. Red Bull even elected not to do a single run on the slower, instead going straight to the super-softs. Ricciardo went fastest for a moment, before being beaten by Hulkenberg and then Raikkonen. The Iceman would end the session fastest; with this being the first time that Kimi has topped a session this year. Hamilton would have to settle for 3rd, seemingly struggling on the faster compound compared to his rivals. It started to seem possible that a non-Mercedes powered car could be on the pole for the first time this year. The usual suspects in the Caterham and Marussia cars were eliminated in the first session. They were joined by Pastor Maldonado and Adrian Sutil, the latter of which being pushed into the drop-zone by late improver Romain Grosjean. The potential battle for pole position seemed ever more likely during the second qualifying session. Lewis Hamilton held the top spot for a majority of the session, but the two Ferrari drivers, Kimi Raikkonen and Fernando Alonso, were only a few hundredths behind. Nico Rosberg was also at risk and had to make an extra run at the end of the session to guarantee his place in the top 10 shootout; thus hindering his previous efforts to save tyres for the race. He did manage to top the times easily by 4 tenths of a second, despite being held up by Sebastian Vettel, but he could fall foul during the race tomorrow due to his team-mate having an extra set of Pirellis. The battle to make it into the top 10 shootout was very tight, with Jenson Button just missing out by 17 thousandths of a second. 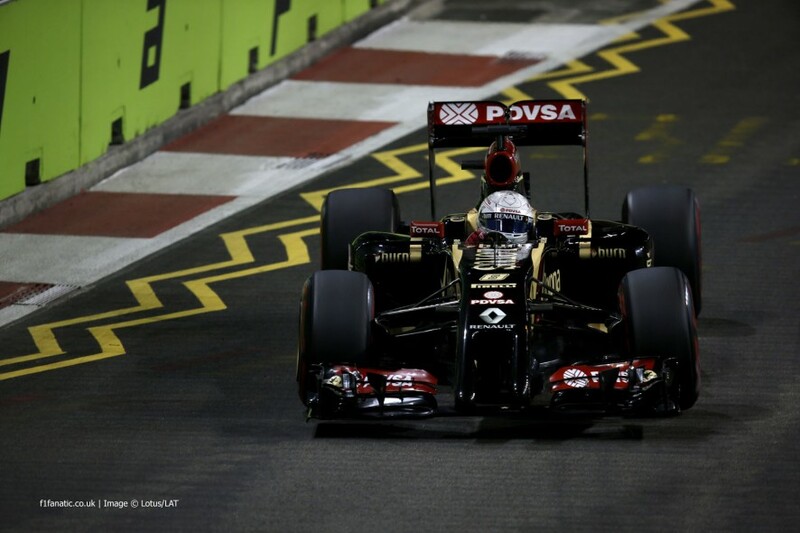 He was joined by Jean-Eric Vergne, the two Force Indias, Esteban Gutierrez and Romain Grosjean. The Lotus driver was very upset on his run back to the pits, as he heavily criticised the Renault engine in his car for its lack of power. The battle for pole position seemed to be between the Mercedes and Ferrari cars, but after the first run it was Felipe Massa’s Williams who was on provisional pole. Kimi Raikkonen was taken out of the battle before he really had a chance to show what he could do. The drivers were gearing up for their final runs when Kimi was told to come back to the pits after the team discovered a power problem. Daniel Ricciardo had come out a minute earlier than everyone else, and thus was the first to complete his 2nd run as the chequered flag came out. He took the provisional pole position, which was met with a massive cheer from the crowd; with his hometown of Perth, Australia, just 5 hours away. The crowd’s delight was spoiled a few moments later however as Nico Rosberg found enough time to take provisional pole by 2 tenths of a second, but Lewis Hamilton was faster! Unbelievably it came down to just 7 thousandths of a second, the equivalent of a front wing’s difference, with Lewis Hamilton taking the pole position. Ricciardo held onto 3rd place, with team-mate Sebastian Vettel less than a tenth of a second behind in 4th place. The next two rows of the grid would be occupied by the Ferrari and Williams cars, with Alonso 5th ahead of Massa, Raikkonen and Bottas. 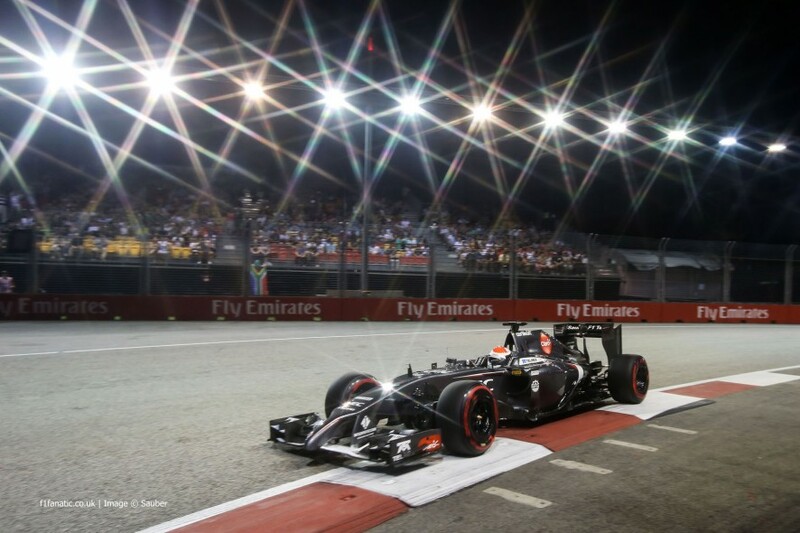 Kevin Magnussen was 9th fastest for McLaren, with Kvyat completing the top 10 in the Toro Rosso.